Third Bridge is a popular spot for ghost hunters, thrill seekers and teens looking for a place to party, due mostly to its secluded location and accessibility. The landscape of the area is something straight out of a scary movie. A dark dirt road across the plains, going over a large hill, the kind that makes you wonder where the other side is as you come over the top, then dropping down to the wooded banks of the dry creek bed known as Kiowa Creek. The bridge itself is a long span of concrete and metal, the kind that if you were running across it, it would take a while to get to the end and there is no escape along the sides because of the 15 foot drop down to the creek bed. When night falls, it is pitch black with just the hint of lights off in the distance. The later it gets, the quieter it gets, creating a perfect time for one to listen for the sounds of Indian drums. 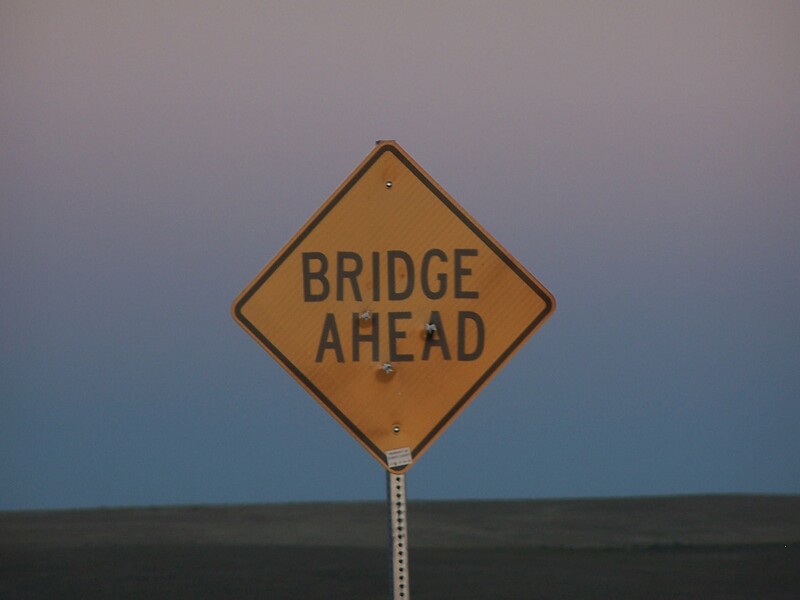 The bridge that exists today is not the original bridge over Kiowa Creek. This bridge was built in the 1970s, lying just a few yards west of the remains of the original bridge which can be seen when facing the east side of the bridge, with it’s big wooden foundations still resting along the sides of the creek. The tales of the paranormal occurrences at the modern bridge are even more recent, dating back to the mid-1990s. Originally, it was stories of an Indian Massacre that brought people to the banks of Kiowa Creek. Reports of screams, apparitions of Native Americans, the sound of horse hooves beating across the bridge, and flashes of light are associated with this legend. Today, the legend is greater. The story of ghosts on the bridge brought about a real life tragedy that may have created true ghosts when an accident occurred there in 1997 due to the reckless driving of teens. Within the last decade, reports of a young girl crying then disappearing, phantom wrecked vehicles that vanish when approached, and even stories of possession now are associated with the bridge. Two car loads of 15 kids, ages 11-17, decided to head out down County Road 50 to the fabled “ghost bridge” one summer evening for a night of fright. It was near 11 p.m as the two cars sped down the 25 mph dirt road at 70 mph in search of the bridge. As the first vehicle crested the very large hill that lies to the west of the bridge, Jessica Hern, age 16, lost control of the Toyota Corolla, veering off to the left side of the bridge and skidding nearly 80 ft before hitting the guardrail. The car then slid down 47 feet of the guardrail, which impaled the car through the windshield, before falling 15 feet into the dry creek bed below, landing on the driver side of the vehicle. One teen, age 14, died upon impact. Another, age 12, died from her injuries early the next morning at an area hospital. Jessica Hern, the driver, was thrown from the vehicle and was paralyzed from her injuries. The 3 other passengers from this vehicle all suffered major injuries. The second car, a Dodge Shadow, attempting to avoid the first vehicle, flew off the road and into the trees along the bridge; however, all of the occupants of this vehicle recovered from their injuries. In the days that followed the accident, friends and family searched the dry creek bed to find belongings of the victims, including a hair tie of Ashley DeHerrera that died at the scene and the wallet of the now paralyzed driver. Some reports of the haunting at the Third Bridge mention seeing the ghost of a girl standing near the middle of the bridge. Could this be the spirit of Ashley, who lost her life in search of other spirits that summer in 1997? At least one thing is certain, this tragic accident has been found to be true and is possibly only one account of accidents that have occurred on this bridge. Due to this accident, the hill west of the bridge today is not the same as it was then. In December of 1997, road crews took off 12 feet of the top of the once 50 foot hill, in hopes to make it safer. Many seek out the “ghost bridge” in hopes of coming into contact with the spiritual remnants of an Indian massacre reportedly to have occurred in the vicinity. As the legend goes, settlers killed men of the tribe and later returned to kill the women and children. The details of this story are more telling of a massacre that occurred near the Colorado/Kansas border in November of 1864, known as Sand Creek Massacre. 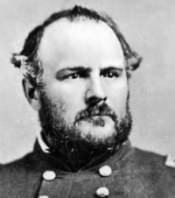 During this shameful event, members of the Colorado Territory Militia, led by Colonel John Chivington (the nearby town bears his name) attacked a group of Cheyenne and Arapaho Indians along the banks of the Sand Creek. It was mostly women, children and the elderly that were killed as the men were away working on peace agreements with the whites or hunting. Later, after the smoke had cleared from the burned tipis, members of the militia returned to kill the wounded and whoever they found left alive. The Sand Creek Massacre, of course, was not located at Third Bridge, as the bridge is located nearly 175 miles to the northwest of the site. However, I found that there is some truth in the story of a massacre near the Third Bridge, albeit a little confusion in the details. Additionally, the events of the true massacre near Third Bridge served as a link in the events that led up to the Sand Creek Massacre. But, the event that may lend some probability to a haunting related to a massacre occurred not at Third Bridge, but rather the one that lies nearly 5 miles to the west. This could rightly be called “second bridge”. 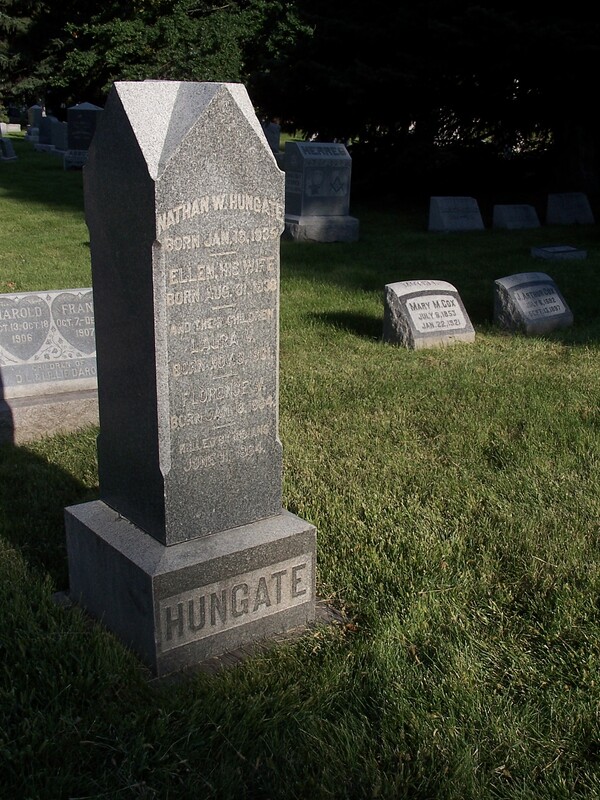 Nathaniel Hungate left his home located on the Von Wormer Ranch located near the Box Elder Creek (the location of the first and second bridges on County Line Road). There, he left his wife Ellen and two daughters, Laura (2 years old) and Florence (5 months old), to search for stray cattle with a ranch hand. A while later, the two noticed smoke rising from the direction of the Hungate home. Hungate rushed back to the ranch while the other ran to get help. 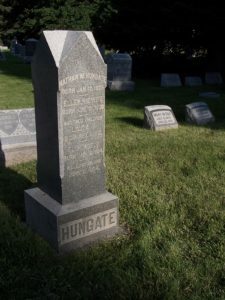 While there were no witnesses to the following, the story states that Hungate found his home set ablaze with his wife and children dead near the well a few feet from the home. This was reportedly done at the hands of renegade Indians, who then chased Hungate down and killed him and his horse a mile away from the burning ranch. All four members of the family were found scalped and mutilated, their bodies later brought into Denver to be put on display in an effort to rile up public sentiment in support of an all out assault on the Indians. Governor Evans used the panic that ensued to push his plan of war against the Indians of the plains bordering Denver. 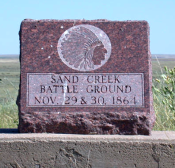 It was a key event leading to the attack on Indians at Sand Creek on November 29, 1864. It must be noted that some questions have been raised as to the validity of the reports involving the crimes being committed by Indians or the manner in which the event played out, such as the explanation offered by Dr. Jeff Broome of Arapahoe Community College devised from his archeological investigations at the site. He has found evidence that suggests that Nathan Hungate was the one to instigate the bloodshed by shooting an Arapaho Indian stealing horses; therefore, prompting the Indians to burn his house and later kill him and his family. The true location of this massacre occurred a few miles from the Third Bridge; however, it does lend some historical backing to some of the reports of such apparitions as a man seen riding a horse and the cries of a child. Could it also lead to possible reasons for other reports such as ghostly Native Americans, shamans being seen in the area? Is this the event that is now imprinted on the environment that creates the sounds that so many claim to hear when standing quietly along the edges of Third Bridge? 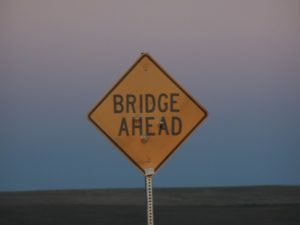 Upon learning about Third Bridge, nearly the first thing that one is told about the phenomena experienced in the area is that of the Indian drums that can be heard off in the distance, that seem to grow louder and fainter as if they are drifting upon the prairie wind on a still, moonlit night. Many will say that this is the sound of a war drum, likely of those who were preparing for battle as they were being attacked. The likelihood of this has been shown to be slim, as Indians weren’t the ones attacked, but a small family and if it were at the hands of Indians, it was a small band of renegade Indians who wouldn’t be carrying a drum to forewarn of their approach. However, in the spirit of good investigative techniques, I ventured out to Third Bridge to listen for the lonesome sound of a drum beat. And they were heard. Click the sound file below to hear. The following day, I returned to the area to see if I could locate a possible source for the sound. As you can see, the video does not show drums or Indians for that matter, at all. On second thought, it could very well be the work of Indians, if the oil company that runs this oil rig is owned by Indians, but somehow, I doubt that to be the case either. There are at least two oil pump jacks (the machinery in the video) in the immediate area of Third Bridge. Now one might say, “I know that the sound from those can’t travel all the way to Third Bridge”. On most typical nights I would say “you are correct”; however, there is a weather phenomenon that occurs quite often in Colorado called temperature inversion. This is when air is much warmer in the atmosphere than air near the ground surface, causing air (and pollutants, moisture, etc.) to become trapped. Evidence of this can be seen in Denver when the days are hazy or there is an air quality advisory. Temperature inversion creates the ideal conditions for sound to be carried over long distances. This can especially occur during the winter, or clear winter nights when the wind is low, just like the nights that many people find themselves out at Third Bridge listening for the drums. I returned to Third Bridge after having not been there for anything related to the urban legend in a very long time. However, after purchasing a drone, I figured there would be no place better than the wide open spaces surrounding Third Bridge to practice flying. I plan on doing more videos of the area in the future; more of a finished product so to speak instead of just practicing. This first video is of the bridge. I flew over the bridge and then back, focusing on the portion of the bridge that crosses Kiowa Creek. It’s strange to think that this spot has claimed lives and yet seems so mundane in the sunlight and even less imposing from above. This next video shows a flyover of one of the oil pump jacks in the area, discussed above. This one is about a half a mile away from the County Line Road. As mentioned, the sound from this machinery can travel this distance (and farther). I noticed that I could even hear the sound of the propellers of the drone rising and falling as the wind shifted. The noise emitted from the pump jack could easily be heard. It is also worthy to note that it appears this pump jack is no longer operational; however, due to battery power of the drone, I was unable to scout out the other pump jacks near the bridge. It would be interesting to see if the “drums” can still be heard. At about 28 seconds, it’s interesting to see the old road that used to lead to the original bridge that is still visible on the south side of the current bridge. Randall (Randy) Wilson was returning home from visiting family. He stopped at a gas station in Bennett at 10:45 p.m. Approximately 2 hours later he died, 22 miles south of Bennett. 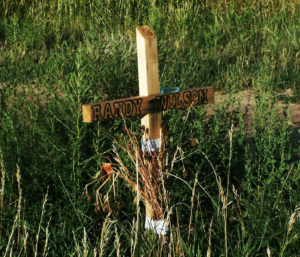 Around 1 p.m. on 6/14/2010, almost one mile east of Third Bridge, two men were driving past the intersection of County Road 50 and 53 (Kiowa-Bennett Road). The passenger sees something in the ditch and makes the driver go back. There they find Randall Wilson lying on his back with his hands bound behind him. Next to the body was a tire iron and a black glove. Randall’s White Toyota Camry was across the road. From the scene, it could be assumed that Randall had stopped to assist someone with a flat tire. That person helped themselves to the money and credit cards in his wallet and took his life. The cause of death was obvious; a plastic bag was over his head and a belt around his neck. Police later determined that Randall had been dead for around 12 hours. 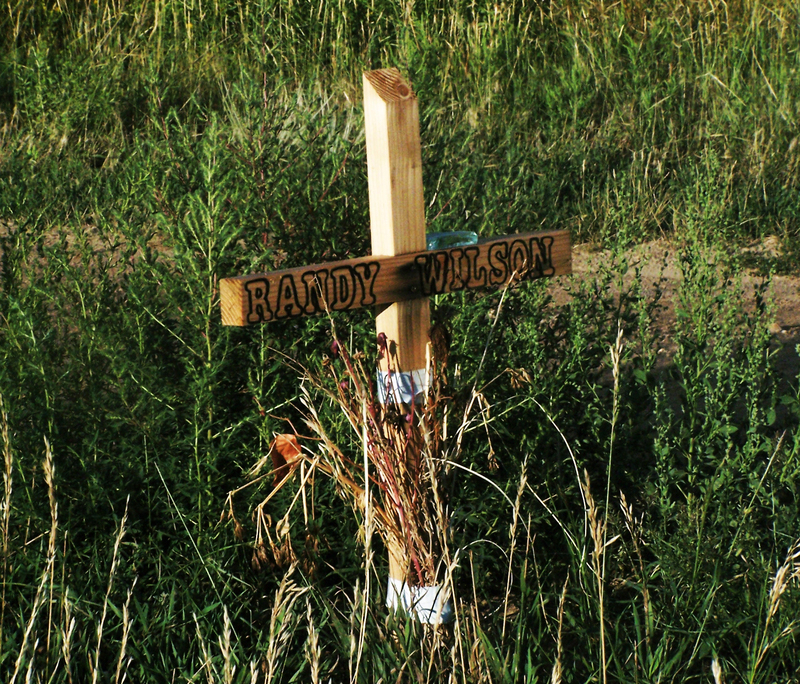 A cross now sits, nearly obscured in the long grass, at the intersection where Randall took his last breaths. During my visit in August 2010, a bird flew down and rested on a fence post directly in front of me and stayed there nearly the entire time I was there; over an hour. This fence was the same where Randall’s body was found lying near. In front of the post where the bird sat, was pink plastic marker tied to a bush limb. One has to wonder if that was used to mark where his body was found. Strange that the bird stayed to watch for so long near the place where he died. A visit to the intersection offers a nice vantage point. You can turn in all four directions and see the vast, open eastern Colorado prairie in front of you, as far as they eye can see. However, under the cover of night, Randall Wilson’s murderer was not seen and has yet to be captured. A surprising number of people traveled along this back county dirt road during my visit there. Could one of them be responsible for Randall’s death? The thought, like the cool evening prairie wind, is chilling. December 29, 2017 – After seven and a half years, there has been an arrest in the Randy Wilson murder! Danial Pesch of Summit County has been taken into custody. No further information is available at this time. Information will be updated as it is learned. Too many times, there are locations that are talked about as if they are haunted. Someone saw this; someone heard that, but few bother to look up the true history of a location to see if there is any inkling of truth to them. Of course, there are many reasons why someone wouldn’t want to bother or take the time to follow a paper trail of a reported haunting or urban legend, but the benefits of making the effort can pay off greatly for the true researcher. Not only does it help to separate fact from fiction, but even for the sheer fact that one could be simply wasting their time by attending to a location when another “gold mine”, so to speak, is close by. Without knowing the history of an urban legend, you could completely miss something, or overlook an important ‘clue’ that may lead to a deeper understanding of the particular location you are interested in. The fact that all of these events occurred in the month of March has not gone unnoticed. It is one more coincidence that makes the incidents at Third Bridge the stuff stories are made of. Five teens, coming back from Third Bridge in the early morning hours, were in a vehicle that skidded off the road, rolled multiple times into a shallow embankment, and burst into flames west of the bridge. Authorities believe they were speeding. Angelo Andazola, 19; Levi Andazola, 17; Omar Aniceto, 19; Guadalupe Macias, 15; and Jennifer Villagrana Flores, 15 were all killed in the crash. Their bodies were so badly burned that authorities told the parents their bodies would not be able to be identified. For anyone reading this article, especially teens and young adults: Don’t be stupid by driving recklessly down this road. You are not invincible and yes, this can happen to you. If you are with someone driving recklessly, tell them to let you out of the car and call someone to come pick you up. I’m sure your family would much rather have to make the drive to pick you up from this road rather than picking your body up from the morgue. Don’t add more deaths to the legend. For more information about this tragedy, read the article from the Denver Post. The work on this page is copyrighted. Randy Wilsons killer has been arrested. That is amazing news! Thanks for letting me know!